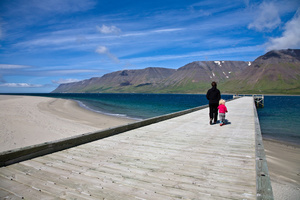 Your Iceland holidays start today when you arrive in Reykjavik. The northernmost capital of the world, this buzzing cultural city is where cosmopolitan currents meet traditional trends. 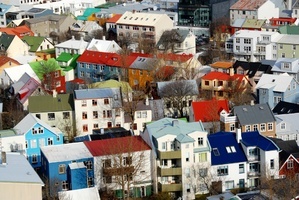 In the afternooon, there will be a city tour of Reykjavik, showing you the hot spots in the area. 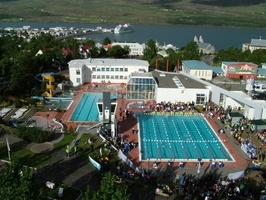 Overnight will be spent in Reykjavik. Overnight is spent in Reykjavik. This 9-hour sighseeing program starts with a Viking Horse tour. The Icelandic horse is a breed that has remained virtually unchanged since the Vikings brought it to Iceland in the 9th century. Enjoy a riding tour in the idyllic landscape of Laxnes, located just out of Reykjavik city. The riding tour is suitable for all ages and experience levels, from beginner to expert. 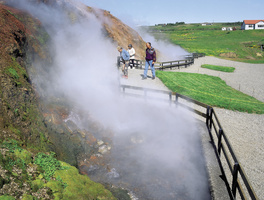 After the riding experience there will be about an hour to relax and have a bite to eat before we join our Golden Circle Afternoon tour, which leaves Reykjavík at 13:00, and head to the National Park Þingvellir, with its remarkable geological features. The Icelandic Parliament -Alþingi - was founded on the site in 930 AD., making it the oldest still-functioning parliament in the world. We visit the impressive glacial waterfall Gullfoss and the geothermal area around Geysir andStrokkur with its spouting geysers. The tour takes us through fertile agricultural areas before heading back to Reykjavík over the mountain heath Hellisheiði. Overnight is spent in Reykjavik. Please note: This tour is not recommended for children under the age of 8. Pick up from the hotel after breakfast. Today we travel through the south Iceland to the black sand beaches, majestic volcanoes, thundering waterfalls, majestic glaciers on the south coast. 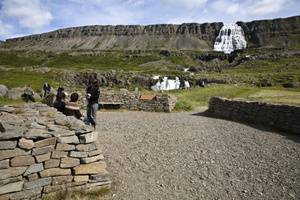 Our first stop is at Skógarfoss, a picturesque waterfall pouring down the slopes of famous Eyjafjallajökull volcano. We continue for a leisurely stroll along the black sand beach of Reynisfjara featuring stacks of basalt columns that wall off surrounding cliffs scattered with caves. Offshore you will see Reynisdrangar pillars, basalt rock stacks rising from the sea. Icelandic legend says they were trolls turned into rock by the rising sun when they came home late after a fishing trip. We end this great sightseeing tour with a stop at Seljalandsfoss waterfall where we can walk behind this magnificent wall of water, right in the slopes of Eyjafjallajökull volcano. 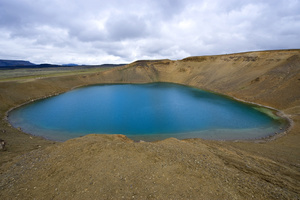 On a clear day you will have a fantastic view of famous volcanoes, Hekla and Eyjafjallajökull. 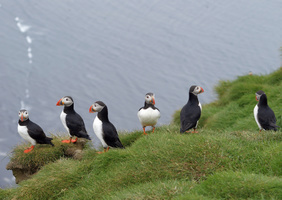 You will also see the Westman Islands, rising steeply from the ocean just a few kilometres of the coast. Overnight is spent in Reykjavik. Your day is free today for shopping or to explore this modern and vibrant city with a wide selection of restaurants and night clubs. Overnight is spent in Reykjavik. After breakfast, we will visit the famous Blue Lagoon where you can relax and bathe in this unique geothermal seawater spa. Afterward, you will transfer to Keflavik International airport to catch your flight home.